As the Sundance Film Festival kicks off its 32nd year, we bring you 10 facts about Sundance. The first Utah/U.S. Film Festival took place in August 1978 in Salt Lake City, Utah. In 1985, Sundance Institute took control of the U.S. Film Festival. They expanded the festival to 10 days and shifted focus to American independent and international films. One of the first films to be screened at Sundance was Blood Simple, the debut feature from the Coen brothers. 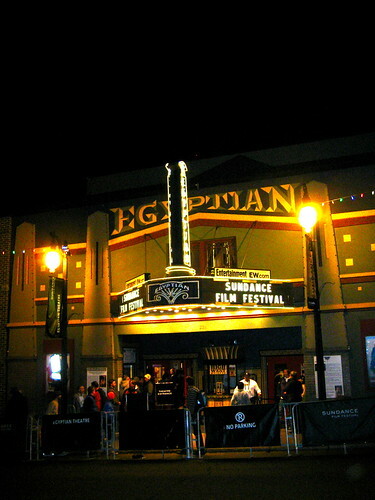 The Sundance Film Festival takes place each January in and around Park City, Utah. The Festival’s programmers briefly considered making it a “celebration” of American Independent film by eliminating the competition aspect. In 1991, the festival was official renamed the Sundance Film Festival and the Park City at Midnight section was introduced. The Sundance Online Film Festival was launched in 2001 and received over 3.3 million hits. Graffiti artist, Banksey payed the festival a surprise visit in 2010 with hidden film-themed street art. Between 1985 and 2013, approx. 20 million feet of 35mm film were screened at the Festival. Enough to reach from New York to Paris. One of the biggest myths about the festival is that it was founded by Robert Redford. Though he was involved from the beginning and played a large part in nurturing its development, the festival was actually founded by Sterling van Wagenen (who worked for Redford at the time) and John Earle. Previous postAre All R-Rated Films Created Equal? Next postSee the Film Dicaprio and Maguire Have Been Hiding for 2 Decades!